have rolled-off the production line. Originally built as a high-decker in just one length, the current generation of Tourismo coaches spans a wide range of models that service the needs of a broad market segment. The Tourismo's formula for success is unchanged, however: outstanding economy and functionality. In its 2014 anniversary year, Mercedes-Benz is presenting new assistance and safety systems for the Tourismo in the form of the Lane Assistant and the Advanced Emergency Braking System (AEBS). If there is a risk of a collision, AEBS automatically initiates a full brake application, should the driver fail to intervene. Europe's best-selling touring coach is marking its birthday in typically modest fashion: models will simply sport a '20 Years Anniversary' badge. 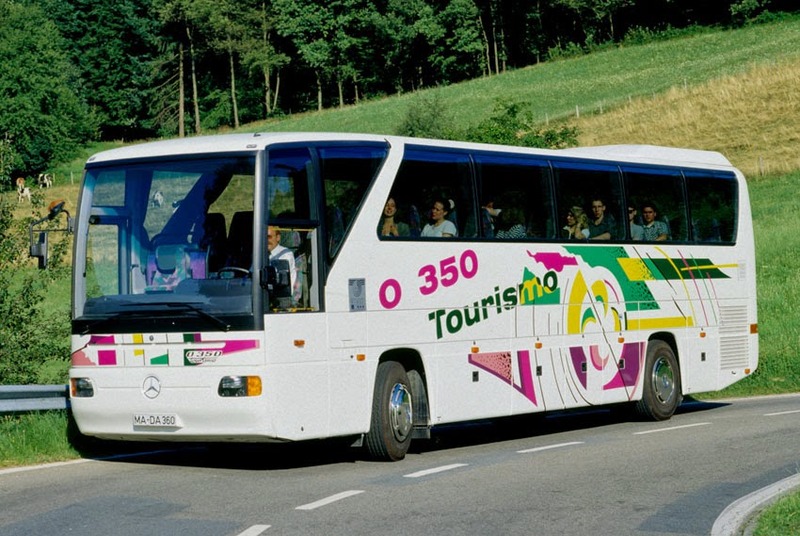 With over 21,000 units now sold - including some 9400 from the present generation - as the Mercedes-Benz Tourismo approaches the end of its anniversary year, it continues to reign supreme as Europe's undisputed No. 1 touring coach.